Laptop Screen Repair Center in Mumbai. Broke your screen while working, or laptop has fallen from table and screen not working. No display? White Line on screen? Are videos uncleared? any issues with the laptop screen. We at Shanti laptop services provide replacement and repair solution for your laptop. We have multiple Screen in stocks which help our client to get a wide range of choice for the screen. Laptop Screen Repair Cost Depend on the screen size and laptop model number, Laptop screen has a different type of screen. Eg LCD, LED, Paper, LED, 10 inches, 13 inch, 15.6 inch and so on. Every laptop has different screen and the price range from 1500-6000 INR. Laptop screen has various issues like display cable not working, Graphic issues, Laptop broken screen or laptop screen flicker. All Problems have a different rate. If your laptop suddenly turns off and doesn’t turn on, then there are a couple of reasons why this is happening. The most common reason for your laptop not turning on is that the AC adapter is malfunctioning. If the AC adapter is completely dead, then you need to purchase a new one. If the DC jack is broken, then try adjusting the plug’s angle in its jack. If a couple of lights are turning on but the device is still not booting, then you might need to replace the DC jack. If it isn’t either of these problems, then the issue might lie in the motherboard of the laptop. The only way to solve this is to get the major parts replaced or to buy a new laptop. Sometimes when you turn on your laptop, everything lights up, the fan is running, but the laptop screen is black or continuously restarts. The root cause of the issue of a laptop screen black but still running might be that the motherboard or memory is broken. If it’s just a memory failure, the problem can be solved by removing all the modules first. After that, start replacing one module at a time and turn your device on. If one of the modules allows your laptop to function while the other module does not, then it is confirmed that one of the memory modules is broken and needs to be replaced. But, if even replacing the memory module does not work, the problem might be caused by the motherboard and needs to be looked at by an expert laptop technician. Sometimes when you use your laptop, you might notice a series of multi-coloured lines on your screen, affecting your display. These lines can be an annoyance but can be fixed with some troubleshooting. If you’re wondering how to fix vertical lines on laptop screen, first unplug your laptop from any connecting wires, power sources and remove the battery. Hold the power button down for about 20 seconds and then restart it. If the problem hasn’t been resolved, then it might be due to your laptop’s signal cable Or the screen itself might be faulty and might need replacement. Another common issue that most people experience with their laptop display is the sudden shut down of their laptop. If your laptop is shutting down for around an hour or two, it might be due to overheating. To check if this is the issue, lift your laptop and touch the bottom. If the laptop is at a hotter temperature than normal, then overheating is almost certainly the problem. This can be solved by using compressed air blown into the vents on the laptop. This would dislodge most of the dust clogged inside the laptop. Another option would be to open and clean the laptop. The primary issue behind this problem is dust, especially if it clogs the fan.. Always make sure to use your laptop on a flat surface and never on the bed. This is because the cloth will block the vents and cause further overheating. Laptops need to be handled with care because they are fragile and can break easily. If your laptop screen cracks, it might be because you dropped it, held it at an awkward angle or placed a heavy weight on it. Sometimes the cracked laptop screen might be superficial and won’t hamper the overall functioning of the laptop. However, a lot of times, a cracked laptop screen might affect the overall functioning of your system. In the case of certain laptops, damaged screens are covered under warranty if Accidental Warranty Protection is available. If your laptop screen is damaged, then you need to take it to a reliable service centre where they can replace it with genuine parts. If you are experiencing issues with your laptop display that you cannot solve at home, visit your nearest Dell Exclusive store. Our expert technicians are equipped to provide your laptop with unmatched care, so you can start using it again at the soonest. Above rates are subject to market, also it’s an approximate rate. Shanti Laptop Service Provide the best range of screen with Free Fix. Get your laptop screen repaired with the free fixing of screen step by step. You only have to pay for screen or lcd or led. We have a wide range of laptop screen, we also sale laptop screen for Dell, Acer, Asus, Hp, MacBook Pro and so on. Bring your laptop to our store and get the free estimate of your laptop issue. 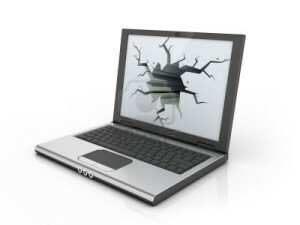 We will provide the best solution and removal of a broken screen and replaced with working screen on a laptop.